You’re getting a puppy, congratulations! It is an exciting time for you, but before you even welcome your new puppy into your home, you will want to make sure you have everything you need. I am here to help, I have put together a checklist for a new puppy, and it includes all the essential items you need, as well as the essential services for your puppy. Here is an overview of the checklist, and each item will be explained in detail below. If you are picking your puppy up from a breeder, you will want to discuss what type of food they have been feeding the puppy. Usually the breeder will send your puppy home with some food they have been feeding. You will want to continue with the same food for a while, in order to avoid any stomach upset or diarrhea in your puppy. You can always slowly transition your puppy to a different food of your choice. You will want to feed your puppy food that is specifically designed for puppies. Puppies need to be fed a diet that meets their nutritional needs, and is designed for their growing bodies. Puppies have big appetites and need a lot of calories, in order to give them energy and strength. You will also want to have some training treats on hand. Treats are a great way to reward good behavior, and to get your puppy’s attention. There are many types of food and water bowls available to choose from. I highly recommend getting stainless steel bowls, they are durable and easy to clean. Stainless steel will not harbor bacteria like plastic bowls do. Ceramic bowls are a good choice too, and do not harbor bacteria either. They can be rather heavy though. You will want to look for bowls that have a rubberized bottom, that way when your puppy is eating or drinking, the bowls do not slide around. Your new puppy will want to have a safe place to call his own. A crate will make your puppy feel safe, secure, and comfortable, it is your puppy’s den. It is important to get a crate that is the right size for your puppy. Make sure your puppy has just the right amount of room to stand up, turn around, and lie down. You do not want the crate to be too large, if your puppy has too much room in the crate, your puppy could use it as a bathroom. If your puppy will grow into a larger sized dog, then you will want to look for a large crate with a divider wall. This will save you from having to buy 2 crates when your puppy grows. The divider wall allows you to make the crate smaller to fit your puppy now, then when your puppy grows you just remove the divider wall and your pup will fit into the larger space. Provide a soft and comfortable bedding inside the crate. There are many crate liners that you can get. You will want to look for a liner that has a removable cover that can be washed. If your puppy chews on the bedding, then you will want to introduce the crate liner later on after the chewing phase. In the meantime you can make a soft bedding out of blankets and towels. Leashes and collars come in many styles and varieties. You will go through a few collars and leashes, by the time your puppy becomes an adult, just from your puppy out growing the collar, and from your puppy chewing on it. Find a collar that will fit your puppy now, look for one that is adjustable and made of nylon. The collar should fit snug so it won’t slip off, but it should not be too tight. You should be able to fit two fingers between the collar and your puppy’s neck. Look for a leash that is strong and well-made. It should have durable hardware that links the leash to the collar. Leashes come in a variety of lengths, you can use a shorter 4-foot leash for your puppy in the beginning, and for training, then later on you can use a 6-foot leash. Do not ever use a retractable leash. They are extremely dangerous to you and your puppy. These types of leashes malfunction over time, the leash handle is bulky, the thin cord can easily break, the length allows your puppy to be put into dangerous situations, the sudden jerking stop of the leash can cause injuries to you or your puppy, and the cord can burn and cut you or your puppy. As soon as you pick up your new puppy you will want to make sure to put the collar on and attach the ID Tag to it. Puppies have a way of easily slipping out of your arms, your yard, and your front door. Make sure the ID Tag has all the vital information on it. Include your puppy’s name on the front, and your address and phone number on the back. You can go even further in making sure your puppy will be safely returned to you, if he/she ever gets lost, by having your puppy microchipped. A puppy should always be closely monitored, but there will be times when you just can’t keep a close eye on your puppy. Exercise Pens and baby gates are a great way to keep your pup confined in one area. Exercise pens are a set of wire panels that confine your pup to a specific area, and they can be adjusted to fit almost any space. Baby gates can be used to restrict your puppy from certain areas, or rooms in your house. You will want to have a variety of different toys for your puppy. A few toys to start with are a great idea, and you will find yourself spoiling your puppy with new toys all the time. Your puppy will love to chew, so it is a good idea to have some chew toys that he/she can gnaw on. Look for durable hard rubber toys, that come in the shape of a bone. A few large plush toys, like stuffed animals are comforting to your puppy, and your puppy will want to snuggle with them in his/her crate. Rope toys are great for playing tug of war with your puppy, and tennis balls are always a good choice for a game of fetch. There are so many toys to choose from, you need to make sure that the toys you buy for your puppy are well-made, durable, and made for puppies. Be careful of any choking hazards. Your puppy will destroy certain toys, they all do, just be sure to remove the destroyed toy right away. Stuffing, frayed rope, exposed squeakers, and other loose and broken pieces are all dangerous, and your puppy could easily digest them. I recommend looking for toys that are made from non-toxic rubbers, and plastics. The toys chosen below are a great pick, you get a pack of 8 puppy toys that are durable, and made from 100% natural rubber, they are super safe and non-toxic. Grooming is an important part of your puppy’s well-being. You will want to introduce your puppy to being groomed at a young age, so that your puppy get’s used to being touched and handled, and knows how to behave during the process. Your puppy will need to be brushed, bathed, have its nails trimmed, ears cleaned, and teeth brushed. Grooming can easily be done by you at home, or you can choose to take your puppy to a groomer. Either way, it is best to have your puppy get used to the sounds of the blow-drier, the water running, the brushing, and all the rest at an early age. Many people choose to have their puppy’s nails clipped by a groomer or vet, because they are scared of cutting the nails too short and cutting into the quick causing bleeding. I am one of those people, often times a vet will trim your dogs nails free of charge, or for a minimal fee. You will need a good supply of poop bags. It is your responsibility as a dog owner to clean up after your pet, and to keep your neighborhood clean. Do not get thin poorly made poop bags, just because they are cheaper in price. I once made that mistake, buying poop bags that were cheaper than the ones that I normally get, thinking I would save money. I ended up picking up dog poop and the bag fell apart, yuck! Get good quality poop bags that can handle your pup’s mess and not fall apart. This spray will be a big help in preventing your puppy from chewing things like the coffee table, kitchen chairs, couch, etc. Bitter apple spray is just as the name implies, bitter apple, and puppies do not like the smell or taste of it. This spray can be applied to anything you don’t want your puppy to chew on, like furniture. Your new puppy will have an accident in the house, there is no doubt about that. You will want to clean the area as soon as possible, because your puppy will want to return to the same spot to go again. An enzyme cleaner will effectively clean and eliminate any odor, preventing your puppy from peeing in the same spot again. If this is your first experience owning a puppy, your routine will change. You will have to deal with accidents and messes in the house, as well as shedding (dependant on breed). Make sure you have a vacuum that can handle all that dog hair, and if you have carpet in the house you may want to invest in a carpet cleaner. It is important to do your research when trying to find a vet in your area. Research vets on the internet, talk to people in your neighborhood, or talk to your breeder, they may be able to recommend a great vet. Have a first visit with your vet, this will be a great way for you to see the vet clinic, the staff, and how your vet interacts with you and your puppy. You should have a positive feeling about your vet, the staff, and the clinic. You should be able to feel comfortable with your vet, and be able to communicate effectively. If you are not happy after your first visit, (or any other visits) with your vet, then you need to change vets. You should be able to trust that your vet will want what is best for your puppy, and meet all of your puppy’s needs. Puppies are a lot of work, and they require a lot of patience and persistence from you when being trained. You may choose to train your puppy at home on your own, or you can choose to hire a certified dog trainer that is experienced, and can make training your puppy easier. You may also wish to enroll your puppy in a puppy class. Puppy classes are a great way to socialize your puppy, and for your puppy to learn the basic obedience commands. If you want to teach your puppy the basic obedience commands, check out my article here. Puppies need to be let out for bathroom breaks quite frequently, and this can be a challenge when you are at work all day. Depending on how far away your work is from where you live, you might be able to go home at lunchtime to let your puppy out, but sometimes that is not ideal. You will want to have someone you trust, like a family member, friend or neighbor come and let your puppy out, or you may wish to hire a dog walker or pet sitter to walk and care for your puppy while you are away. There are many breeds that require a professional grooming, and it is a good idea to introduce your puppy to being groomed early, in order to make the visit to the groomer easier later on. Find a groomer that has a good reputation, and is experienced in grooming your specific breed. Research groomers in your area, and find one that you and your puppy like and trust. Getting a new puppy is a very exciting time, and the first few days can be challenging and hectic. By having the checklist for a new puppy, you will feel more confident and prepared, leaving you with more time to enjoy your new furry best friend. Please feel free to comment below with your puppy experiences, and any items that you feel are important to have that I may have missed. I would love to hear from you. The majority of the list we had it checked when we bought Sammy, our Golden Retriever, however, not everything we bought. We forgot poop bags, which wasn’t quite good when we walked with him the first time, it seems too obvious, but hey, we forgot it anyway. So this list is a good reminder and a must have for new owners of a doggy! Thanks for your comment, Emmanuel. Yeah it’s not good when you forget to buy poop bags. It’s also really bad when you’re out walking and forget the poop bags at home, something I have done a few times. I am glad you enjoyed my post. Hi Jenny. You are so right. Puppies are fun to be with. 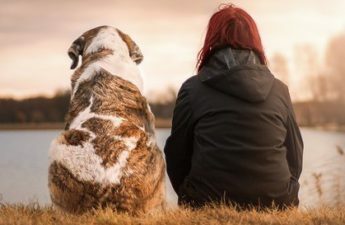 A dog could end up becoming one’s best companion and friend. Thank you for writing on the Checklist For A New Puppy-Essential Items And Services. One could easily end up unprepared for a new puppy without this list. You have done well. Thank you for your comment. With this Checklist, you will definitely be prepared and ready to welcome a new puppy into your home. It’s like preparing for a new baby! Good advice on the retractable leash. I didn’t realise it could be dangerous. Are there specific kinds of toys or good brands you recommend? I see a lot of pet toys in the dollar stores. I suppose tennis balls are pretty much the same wherever you get them from. Yes, be prepared for cleaning up! Best to set up the bed in a tiled area if you can! Hi Jenny, yes preparing for a new puppy is very much like preparing for a new baby. You need to be careful of the puppy and dog toys you see in the dollar stores, as they are poorly made, can have choking hazards, and some of the rubber and plastics can be toxic to your puppy and dog. With any toy you get you need to supervise your puppy, and remove any toy that may be destroyed immediately, to prevent your puppy from ingesting anything dangerous. I recommend getting chew toys that are made of non-toxic rubbers and plastics, and soft toys that do not have any stuffing in them. Thank you for the idea with the bitter apple spray. That seems an easy way to keep the puppy off the furniture etc. 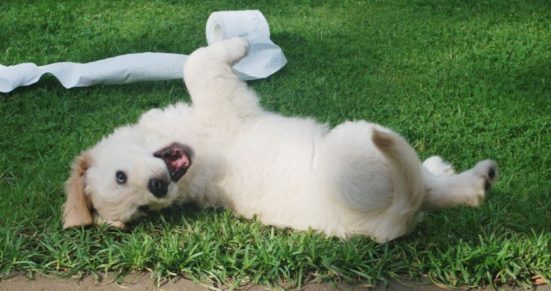 Another idea might be to get some puppy toilet training sanitary pads, just in case. I know a friend of mine needed them for a while until the puppy got the hang of it. Hi Petra, Bitter Apple Spray is a real life saver when it comes to keeping your puppy from chewing things they shouldn’t. Puppy training pads are a great idea as well, thanks for your suggestion.